I work full time as a freelance outdoor instructor throughout the year. In the winter I work across Europe as a ski instructor. In the summer I take people on all sorts of exciting adventures; walking and mountaineering or out onto rivers and the sea in kayaks or canoes. I have been teaching and leading people in adventurous activities for the last 15 years which has given me a wealth of experience in setting the right pace and tone for the lessons I teach. I love working with people and firmly believe that having a relaxed atmosphere where you do not feel judged and can focus on having a good time is the key to great learning experiences. 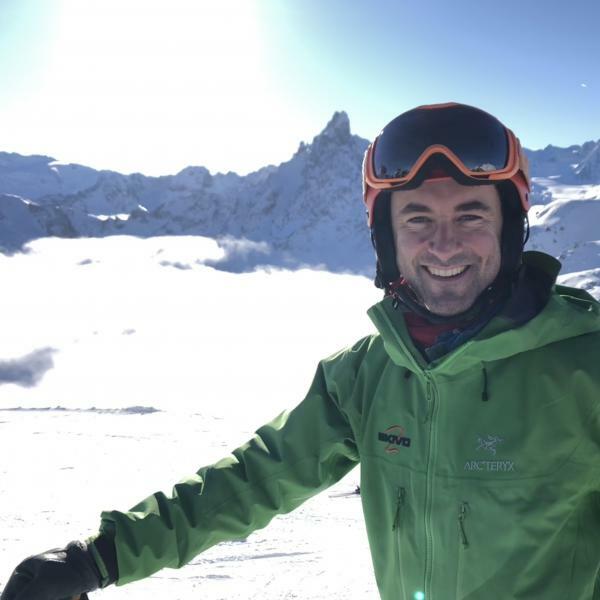 The mountains are a fabulous place and I believe that skiing is the best mode of transport to explore all that they have to offer. By choosing the correct terrain for your level and experimenting with techniques to help with the ever-changing mountain environment you will find yourself enjoying places you never imagined you could even access. Most of my winter is spent taking intermediate to advanced skiers into the backcountry and off-piste; giving them the tools and the knowledge to become competent members of an off-piste group. I also provide race training courses to develop piste performance. For my own personal development, I regularly take up new outdoor activities which take me into new environments and help me to empathise with people learning a new skill. So whether you are new to skiing; want some techniques for taking on new terrain or want to head into the wilderness of the backcountry for a ski touring adventure, get in touch to come out and have some fun! Tristan took our group of 6 cousins aged between 7-11 years - a challenge enough for anyone! The kids loved the lessons, clearly enjoyed themselves, were challenged and made great progress with their skiing. Tristan was good fun and very responsive which made organising very easy. Would use him again without hesitation. Thank you Tristan for the 'Best Skiing Lessons' I've had!! I needed someone who was going to be a great teacher, patient and good-humoured. 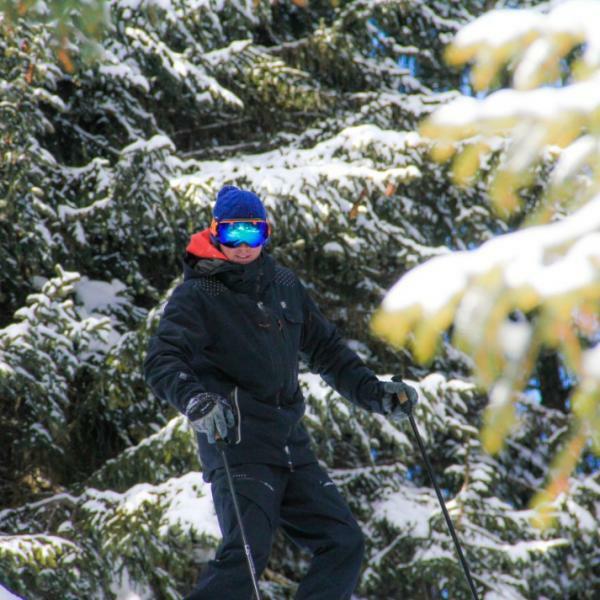 We really enjoyed our lessons and I felt relaxed, comfortable and confident on the slopes. Plus we were lucky to have some great snow. Thanks for all the tips and we hope to see you again next year!! I had a morning of off piste guiding with Tristan, visibility was in and out but due to Tristan’s local knowledge we were able to find plenty of pitches that had enough cover that we could pick our way down. Tristan was a brilliant guide for the morning. He took his time to assess my ability before pushing me hard. It was a brilliant morning of skiing and Tristan was a pleasure to spend it with, I certainly recommend taking a lesson with Tristan!